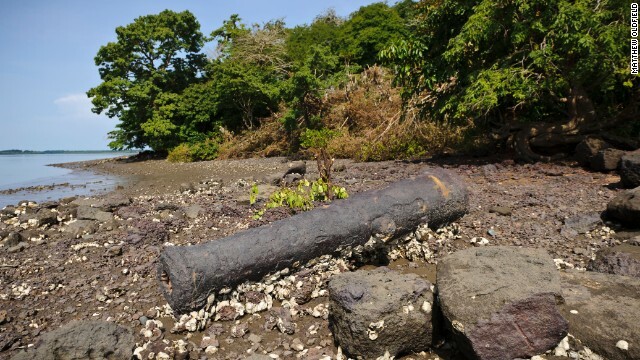 Bunce Island, in Sierra Leone, was a British slave trading post in the 18th century. From its shores, tens of thousands of Africans were forcefully shipped to the American colonies. Abandoned in the mid-1800s, it is one of the most authentic slave trading facilities still in existence. Unlike other slave trading posts, nothing was ever built on Bunce Island once slavery was abolished. 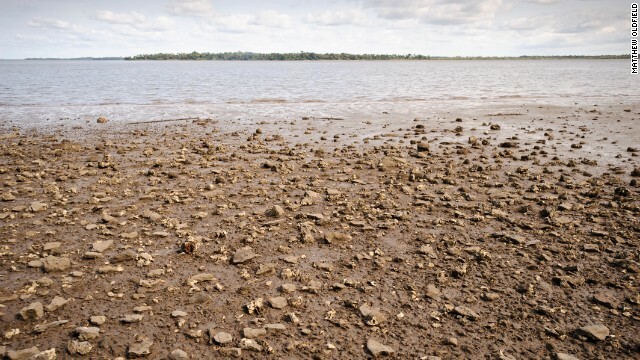 Historian Joseph Opala says that when the human cargo was loaded onto the ships, the slave traders took off the ballast they'd brought from England -- pebbles of English flint that are still scattered all over the island's shores. "If you put it in your hand and weigh it, you can feel the weight of the human beings put on the ship, as these items were thrown off," says Opala. "The wall here is about 16 feet and it goes down almost to 40 feet as the land drops," says Opala. "But if you had come here during the dry season months, say in the 1750s, you would have seen this whole area filled with people." A gravestone of a ship's captain in the island's European graveyard. 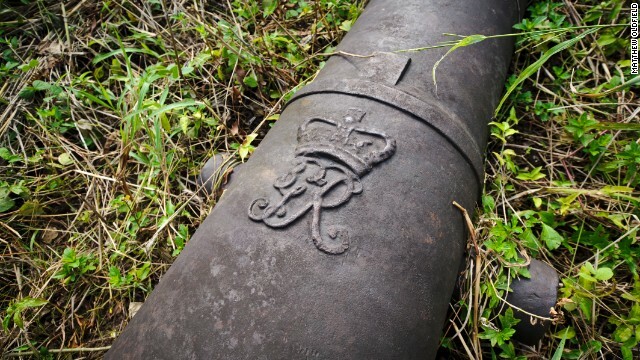 A cannon with the crest of King George III found on Bunce Island. A group of historians and archaelogists have come together to turn the uninhabited island into a national landmark that can be appreciated for its historical value. 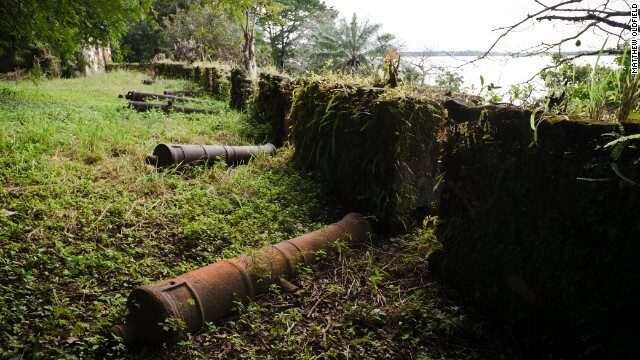 The Bunce Island Coalition has launched a $5 million project to conserve the island's structure and also build a museum in Freetown as part of efforts to shed light on the island's dark past. Every week, Inside Africa takes its viewers on a journey across Africa, exploring the true diversity and depth of different cultures, countries and regions. Follow Vladimir Duthiers on Twitter and the show on Facebook. (CNN) -- As the boat slowly approaches the quiet shores of Bunce Island, it's hard to shake off the eerie feeling of being transported back into one of history's darkest chapters. 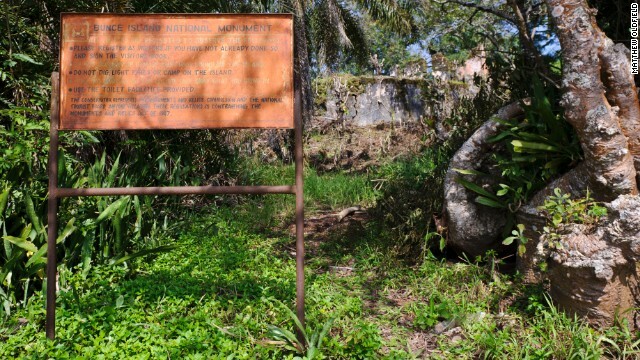 Located some 30 kilometers from Freetown, this tiny strip of land in the Sierra Leone river served as a major post for the transatlantic slave trade in the 18th century. 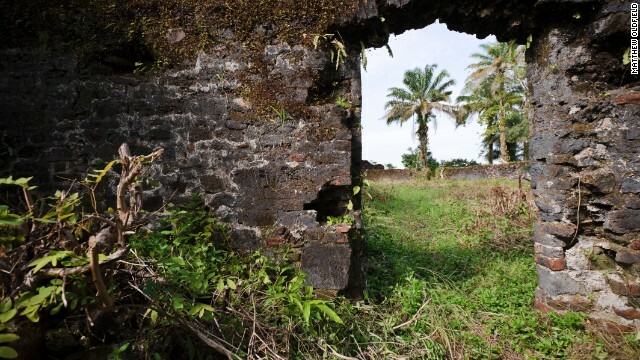 For tens of thousands of Africans, this was the place where their life in the continent ended -- men, women and children were kidnapped and brought to the island's fort to be traded and eventually put on slave ships bound for the Americas. 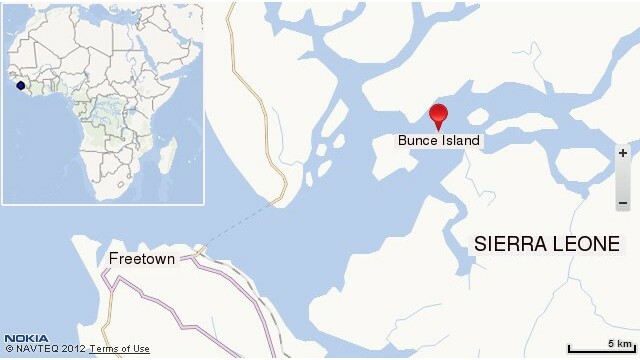 "The African-American story is very much here," says Joseph Opala, director of the Bunce Island Coalition, a group of historians and archaeologists working together to turn the island into a national landmark that can be appreciated for its historical value. 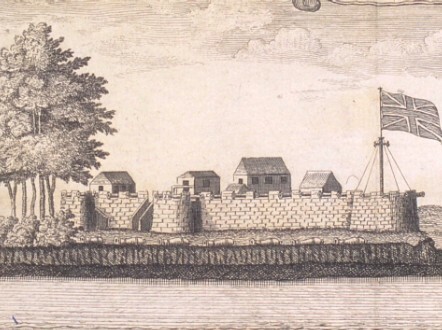 Historical image of the British slave trading post of Bunce Island. Upon arriving in the American colonies, West African slaves were forced to work in rice paddies, cotton fields and indigo plantations along the South Carolina-Georgia seaboard where the moist climate and fertile land were very similar to their African homelands. 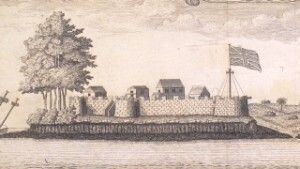 Read this: African slave traditions live on in U.S.
"There are 40 big castles like this along the West African coast, but this is the only one that sent appreciable numbers of captives to what is now the U.S.," says Opala. Map of Bunce Island. Click to expand. Stepping onto the uninhabited island, you quickly realize that this is a place forgotten by time, its ancient structures gradually decayed by the two centuries of tropical rain seeping down. Unlike other slaving trading posts, nothing was ever built on the island after its abandonment in the mid-1800s. Its crumbling ruins, blanketed by overgrown weeds and ivy roots, remain relatively untouched to this day, serving as a reminder of the island's dark past. 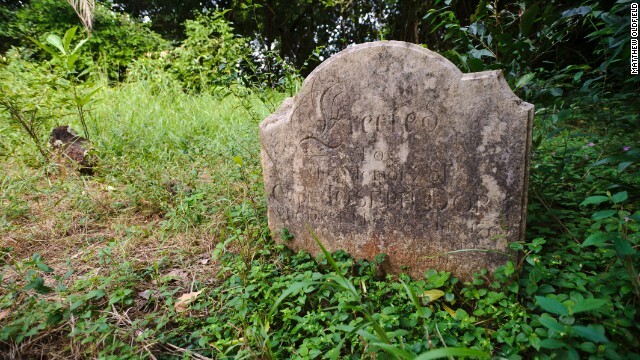 "One Sierra Leonean years ago used to refer to Bunce Island as the place where history sleeps," says Opala. "And there's no better description of it -- it's a kind of slave trade ghost town." Opala says that to this day, many people in Sierra Leone are not aware of Bunce Island's grim place in history. He says that the island receives just a small number of people each year, mainly foreign visitors or expatriates. "For tourists, it means renting a boat for 500, 600, $700, or there are tourist services oriented toward tourists that will take you for $60-70," says Opala. "But for local people, it's absolutely not affordable. But at the same time, there's not a lot of local interest yet in going there because people still don't know much about it." 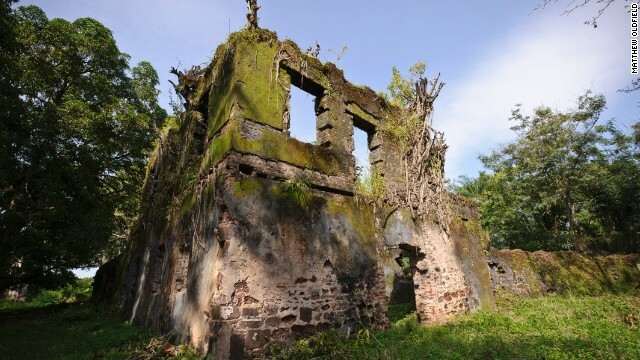 To change that, and remind both tourists and locals about its importance, the Bunce Island Coalition has launched a $5 million project to conserve what's left of the island. 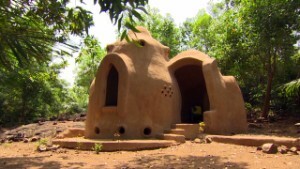 The group also wants to build a museum in Freetown as part of efforts to shed light on the island's dark past. "There's an awakening now out here by the political elite and many ordinary citizens that this place is not just important for history," says Opala. "But it also can serve as a source of revenue for the country, and can strengthen the links between African-Americans and Sierra Leoneans which may in the end be the most important outcome of this, because that can last forever." Check out the Bunce Island gallery above. Images by Matthew Oldfield -- Matthew Oldfield Photography.